I seem to have been getting out and about a lot recently, as you'll see from my photos, but firstly I wanted to jump in and say thank you to those lovely people who come up to me when I'm out, introduce themselves and let me know they read my blog. It really means a lot to me to know there are people out there who enjoy my rambling words and colourful photos. Thank you!!! I had my first class of the year on Wednesday. 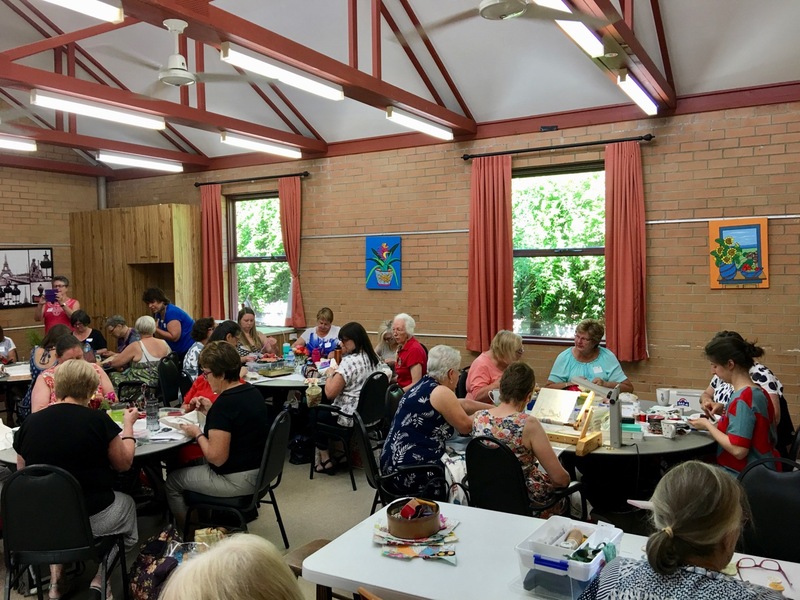 It was at the fabric wonderland Sew Can I in Werrington County. 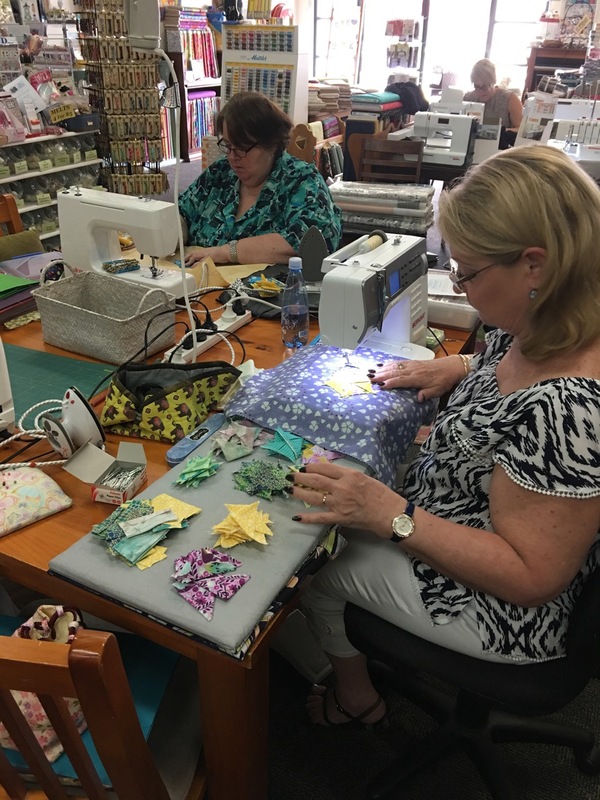 The lovely ladies where there to learn my folded fabric blocks so we started with folding triangles. 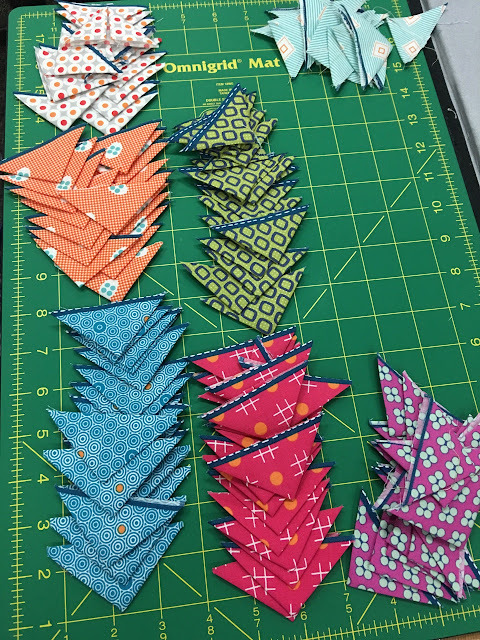 Lots of triangles! I was excited to see Lorraine is going to make her quilt using all Tula Pink fabrics. Faye went straight for the Lollies fabrics. 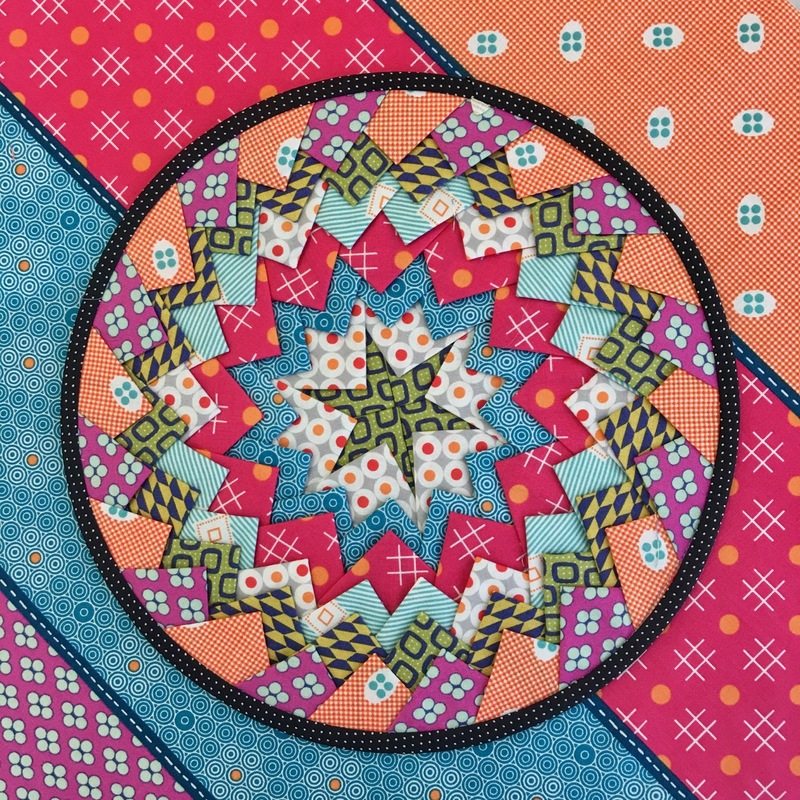 Wendy used these dreamy colours. Danna chose a sunny mix. Soon the triangles became blocks. Of course I got busy buzzing around and forgot to take photos so I'll get some next month. 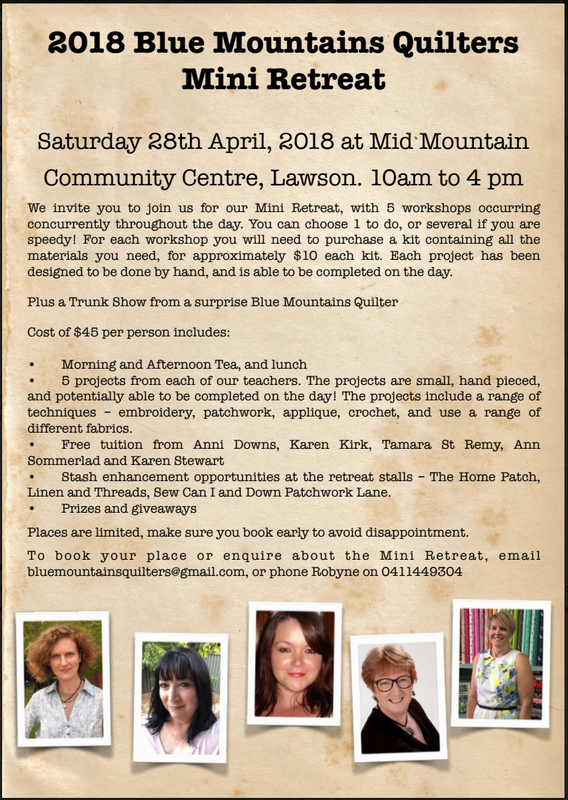 Thanks to the lovely ladies who made it such a fun day and I'm looking forward to meeting the others who weren't able to make the first class next month. 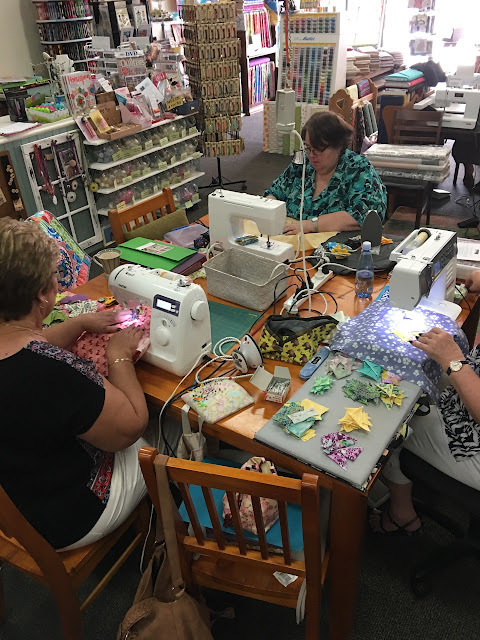 The year is just beginning so it's not too late to join in my monthly classes. 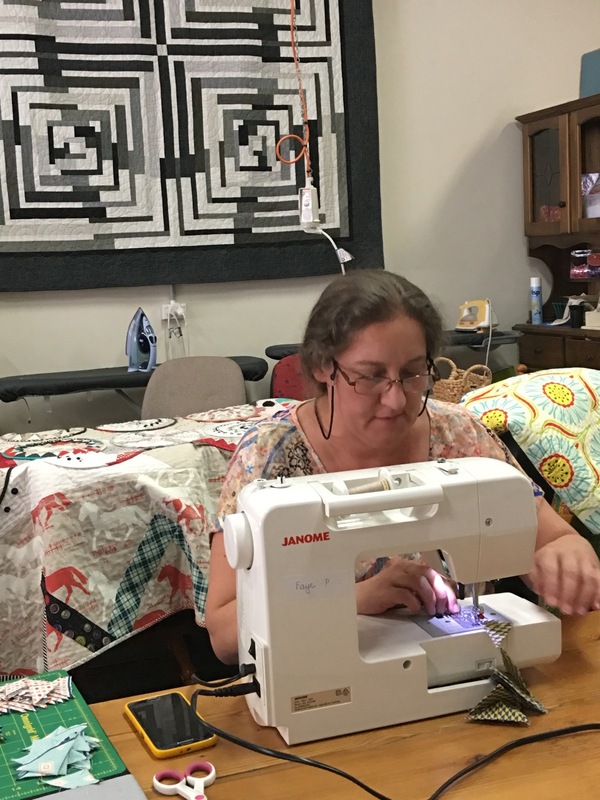 There's always room for a more happy quilters. 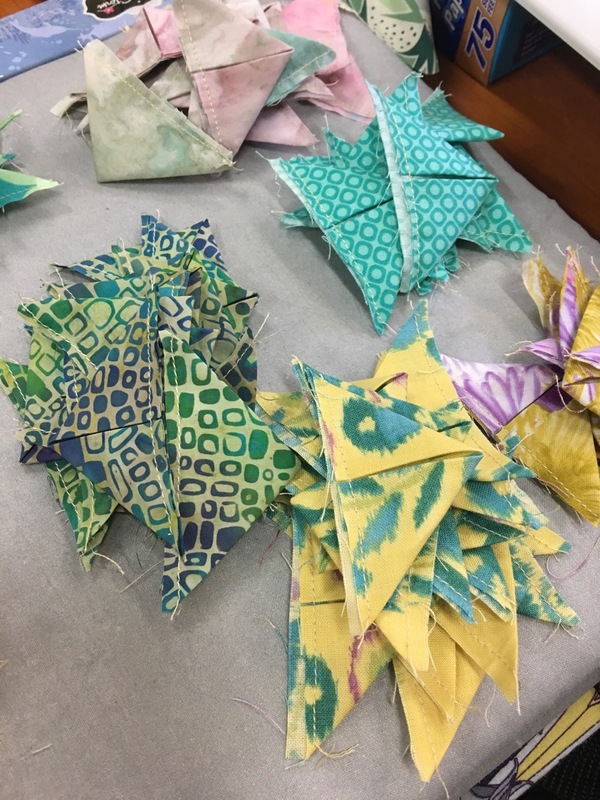 I'm happy to teach different folded block techniques, or my other quilts, or bring along a project you'd like some help with. 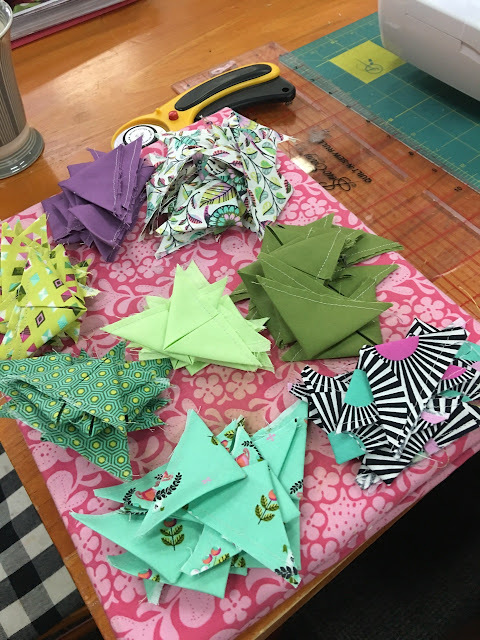 4th Wednesday of the month: Fun times with folded fabric techniques. 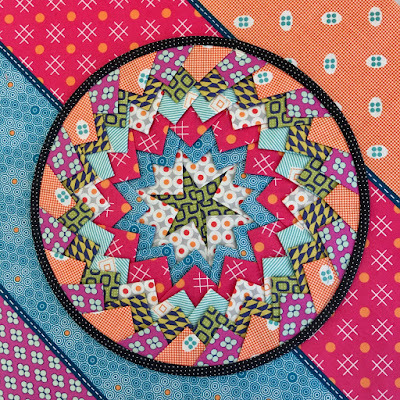 4th Thursday of the month: A mixed bunch of project ideas to work on, Folded fabric fun, or use your doilies to make a Blooming Doilies quilt, Chunky Flowers are always fun or bring along a project you’d like some help with. 2nd Tuesday of the month - Simple but Effective: great for beginners, or quilters who just want to have fun with their fabric. 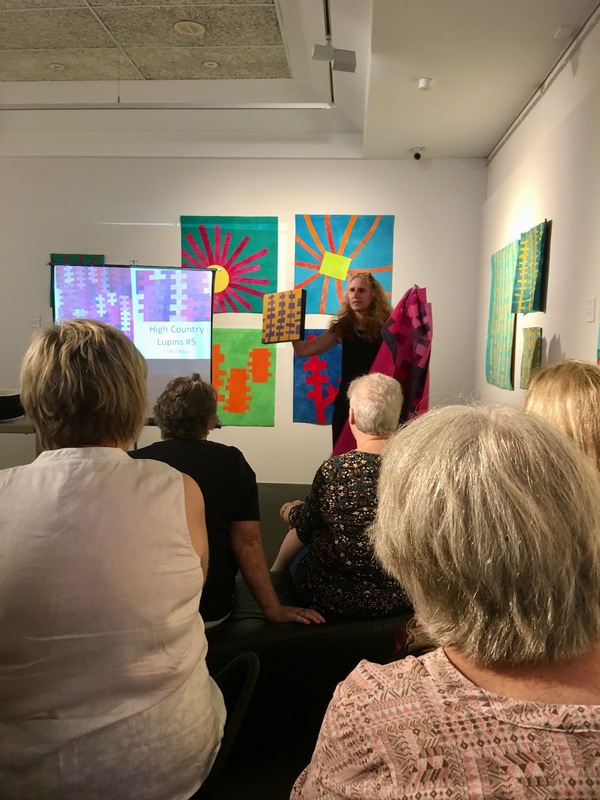 4th Friday of the month - Whizz Bang and Beyond: Come along and get creative with different techniques. 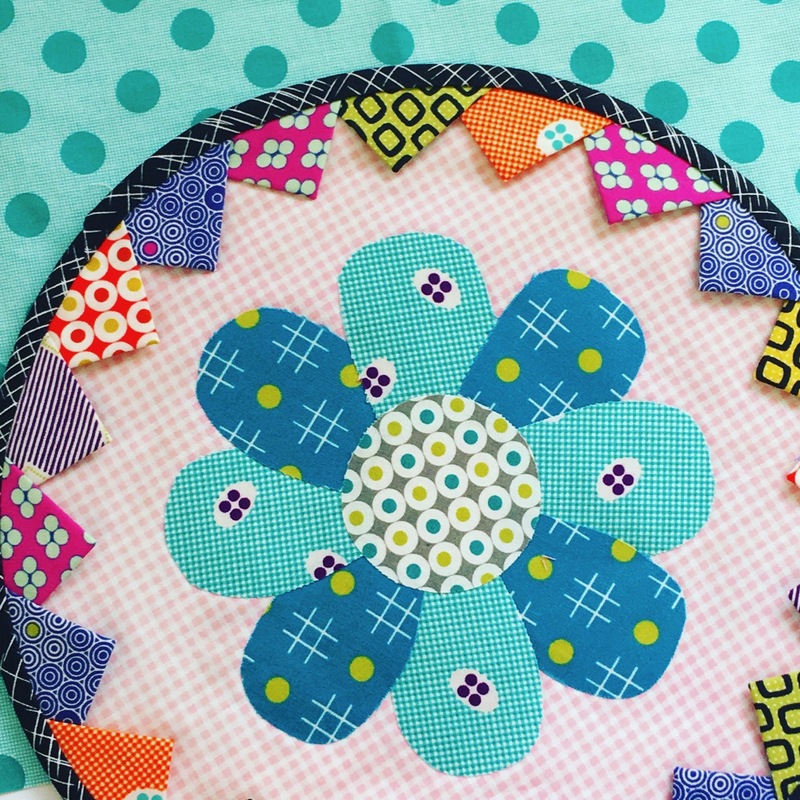 Learn how to make a Rachaeldaisy quilt or bring a project you’d like some creative help with. 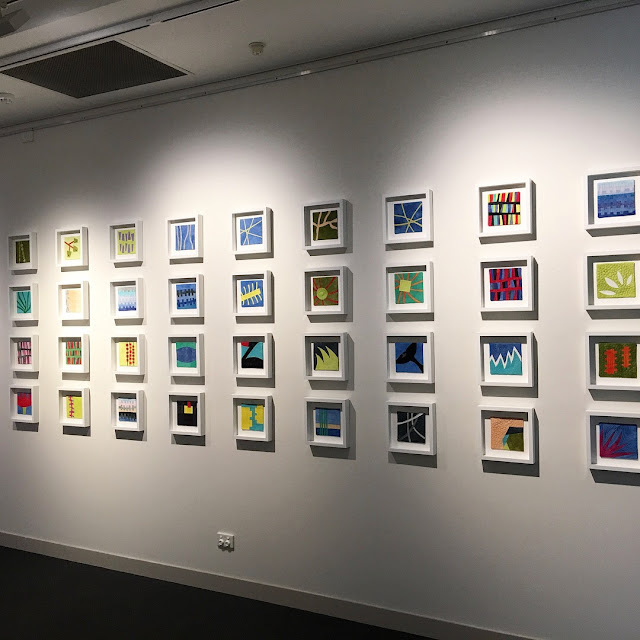 Last Tuesday I spent a wonderful day at the Gosford Regional Art Gallery. On this visit I took the time to look at the Brett Whitely and Russell Drysdale exhibitions, and really enjoyed both. 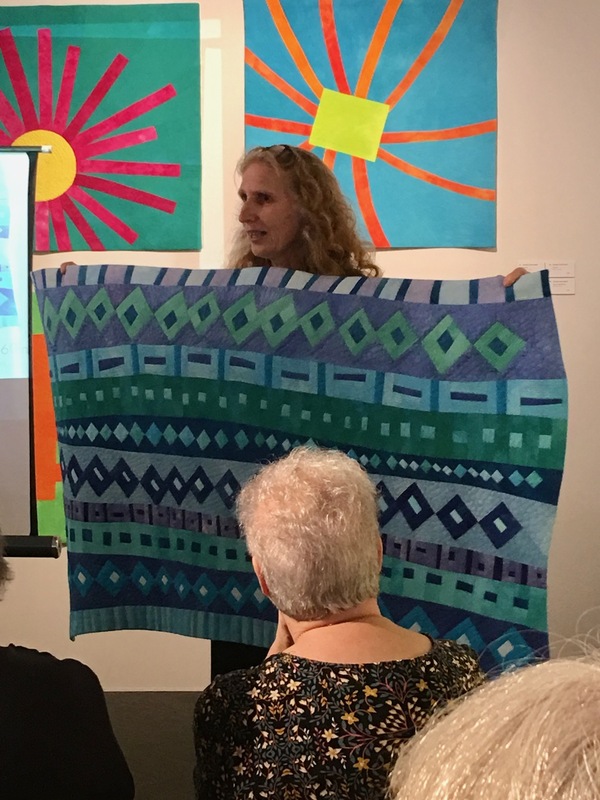 However the main reason I was visiting was to be there for Brenda Gael Smith's Natural Abstractions Lecture. 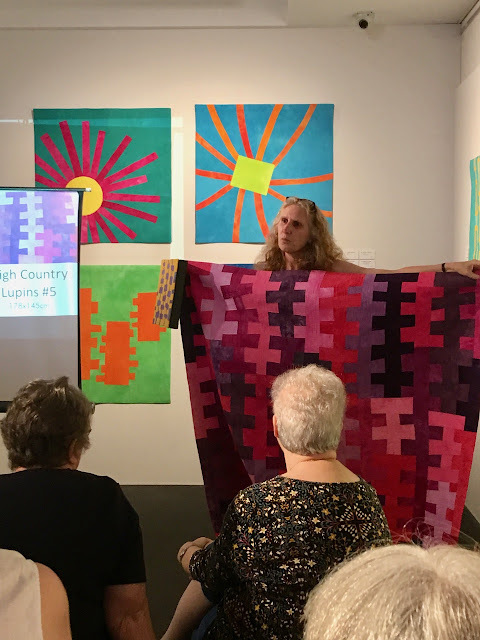 It was great to hear Brenda's journey through quilting and how she navigated different designs to create the works she is making today. It's always a treat to see quilts, We even got to see Brenda's first quilt though I was so busy listening to her story that I didn't take a photo. Brenda's Natural Abstractions exhibition is on until the 14th February so there's still time to see it. 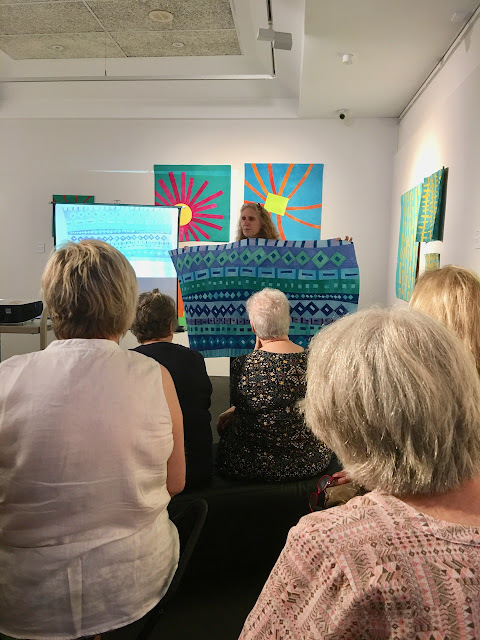 Brenda will be popping in and out so if you see her at the gallery make sure you say hello, it's great to hear her talk about her art. For more information pop over to Brenda's website here. 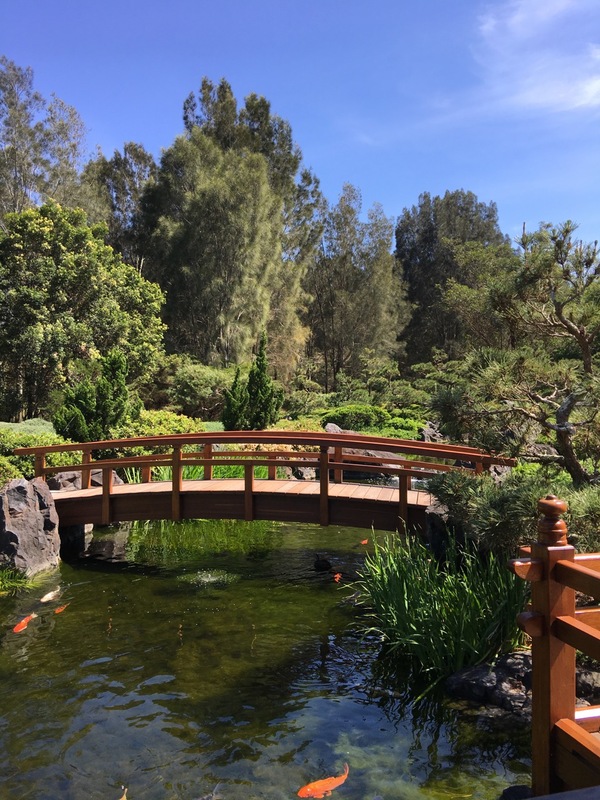 Or email brenda@brendagaelsmith.com . 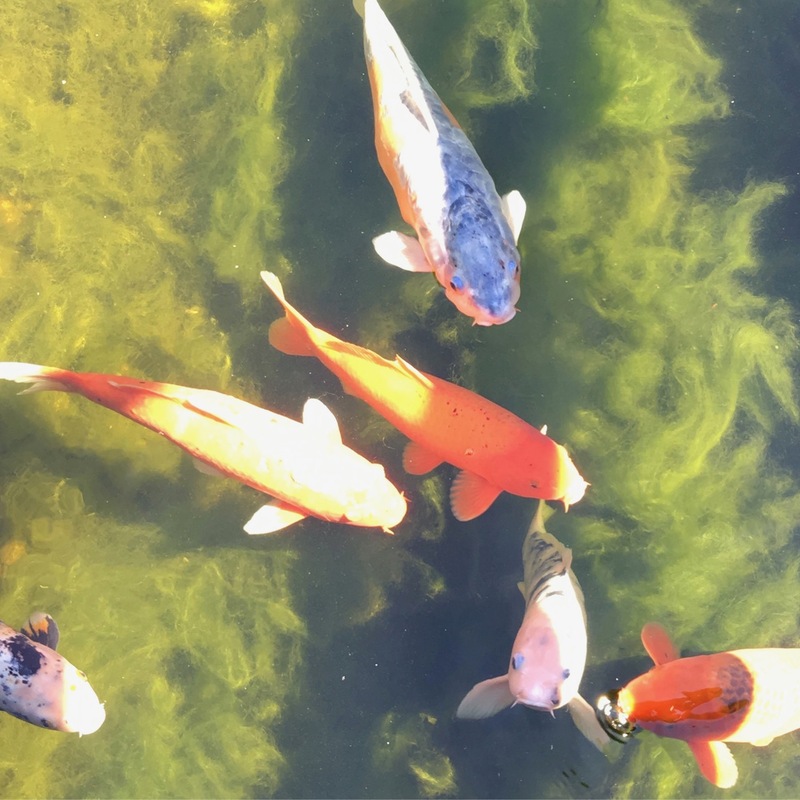 and said hello to the Koi. 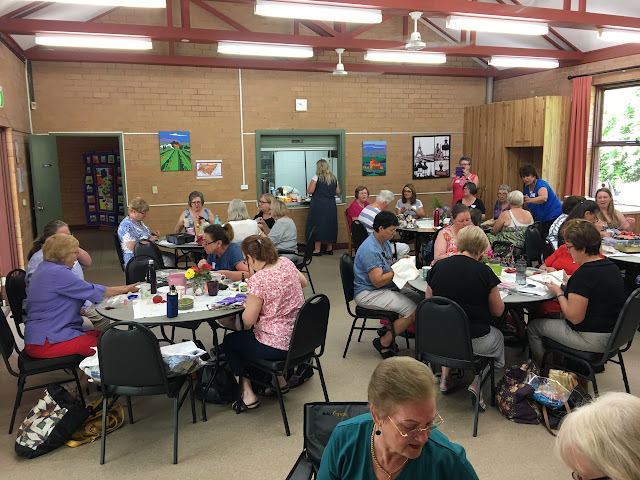 The first Saturday on January was the in augural gathering of The Blue Mountains Quilters. It was a huge success. The group expected 30 people however twice as many people turned up. The room was buzzing with happy sewers catching up. 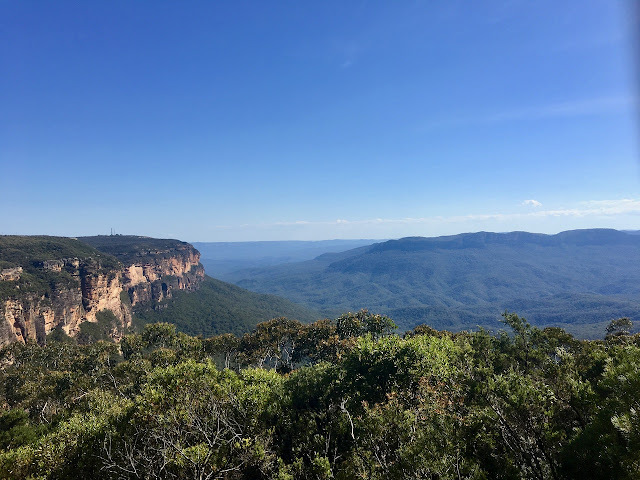 People had travelled from Lithgow and Sydney and all throughout the Blue Mountains. Lots of Show and Tell. 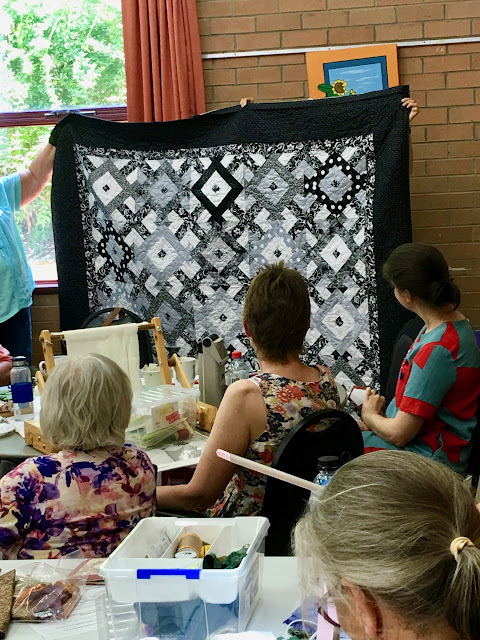 Stitching Gatherings will be held on the first Saturday of each month at the Mid Mountains Neighbourhood Center, Lawson from 10-4pm. These gatherings are open to one and all. There is an extra fee for visitors to cover insurance costs. Bring your own mug and lunch but there are yummy refreshments. There will be pop up shops at each meeting. If you would like to bring your sewing machine it has to be approved first, email bluemountainsquilters@gmail for more information about this, but then most of us have a hand sewing project to work on. It's time for some show and tell of what I've been up to. 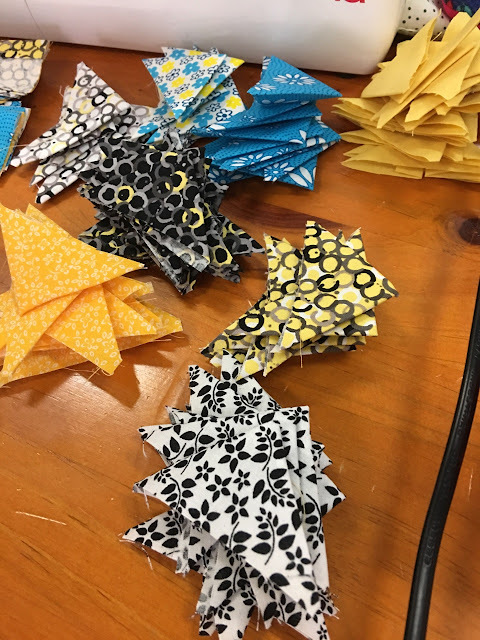 Here are some fun blocks made with Jen Kingwell's Lollies fabric. 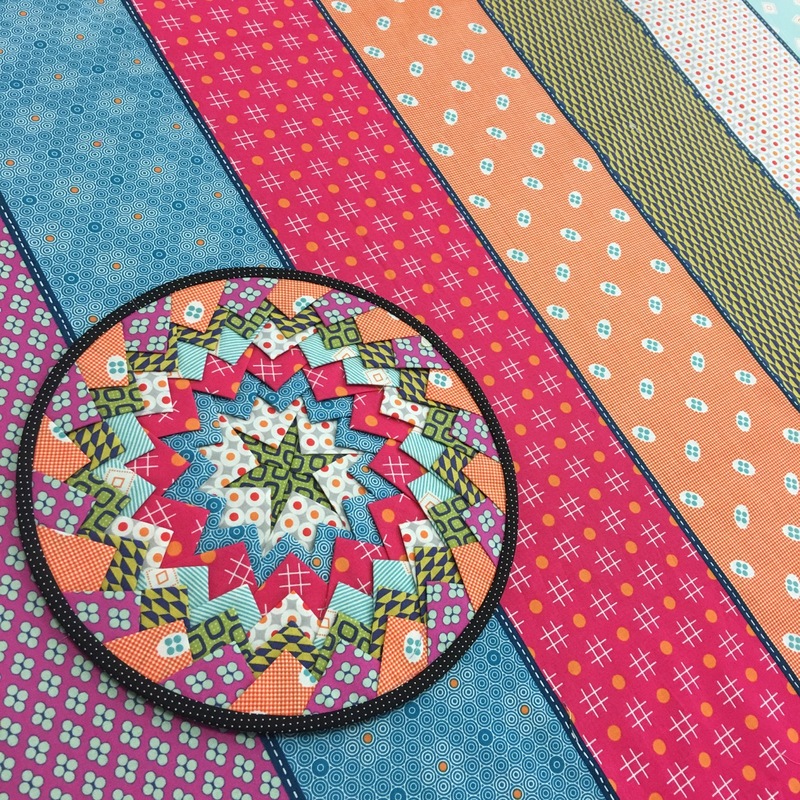 Lollies are a range that has different patterned strips across the bolt of fabric. 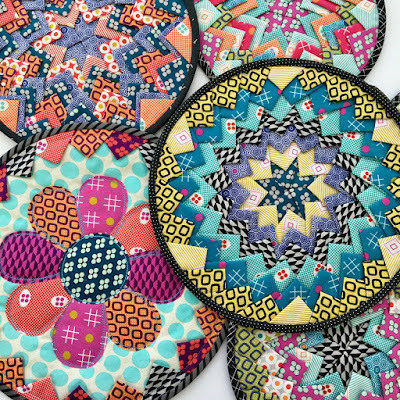 A great way to get a mix of colours and prints from one fabric. I didn't stop at one. I'm saving my final quilt for show at tell at Jen Kingwell's shop Amitie in Torquay near Melbourne when I'll be there in a couple of weeks on the 10th and 11th of February. Now that's really getting out and about. 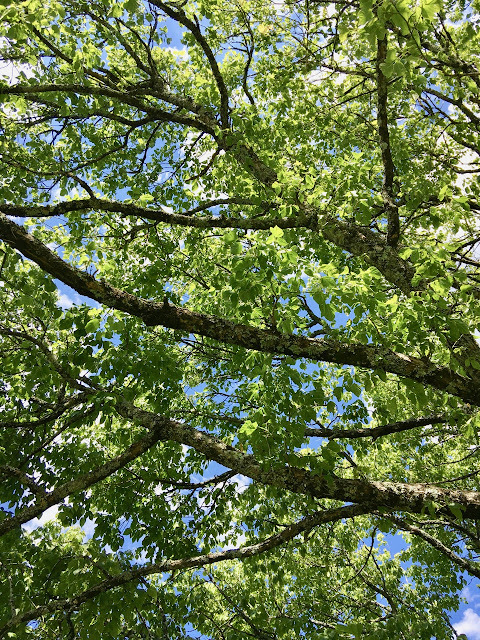 Not many walking photos this week, The weather has been so hot, it's the height of our Australian summer, but here's one I snapped on a hot day as I enjoyed some momentary shade of this lush green tree. I love that fresh green of leaves with sun shining through, the peep of blue sky and the lines of the branches. I'll finish with a quote that is so simple and so true.
" Be kind whenever possible. It is always possible"
You sure are keeping busy. 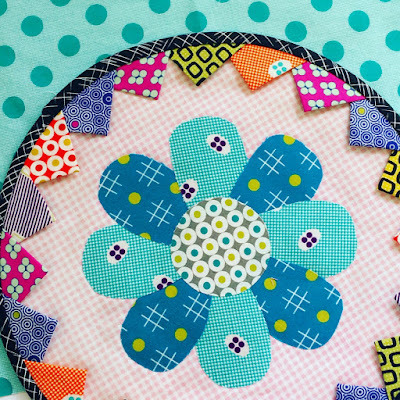 What a colorful post with so many fun projects. It always amazes me how different our weather is - its been freezing here! That shade tree looks so inviting. You’re out and about more than us at the moment. Don’t you love seeing all the different interpretations of your blocks. It must be really interesting for you. Jen’s new fabric range suits them very well. The dappled light under the tree looks rather cooling. Miss Rachael, I love the way you look at things. Always with a happy and positive spin, and I can almost hear you skipping along with the words you write! You've had a very exciting summer! You know how to start the year off with a bang. It looks like you have been out and about nearly every day! 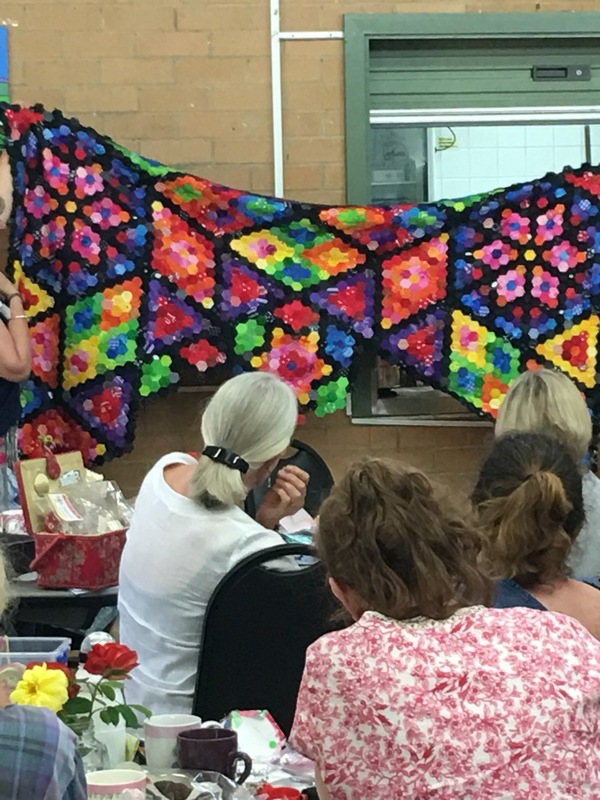 Love seeing all the show and tell from the different groups and of course the new blocks from you. Have a fun time in Torquay. Looks like some amazing days out! 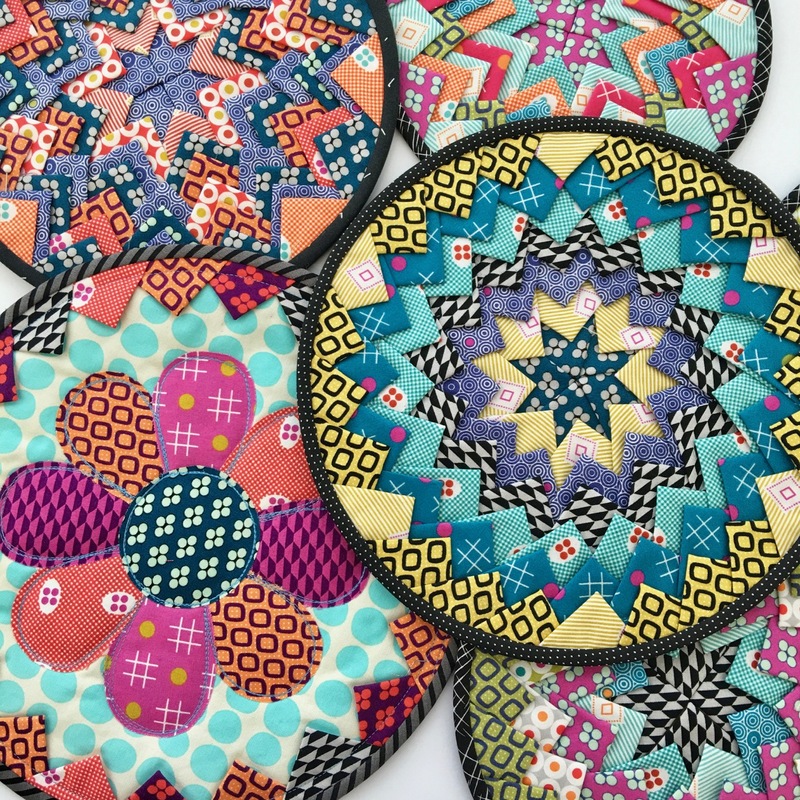 It's so fun to come here and see all your bright happy colors!